In early August, IFLN Network member Fridenson confirmed it had won the bid to operate a 27-acre site, containing both a container and a train terminal at Israel’s Ashdod Port Zone. The Haifa-headquartered cargo agent acquired the competitive tender with Israel Ports Company to operate the new public cargo facility, and the deal is to cover an initial period of 15 years, with an optional extension of 10 years. The operation is expected to launch towards the end of the fourth quarter of 2015. 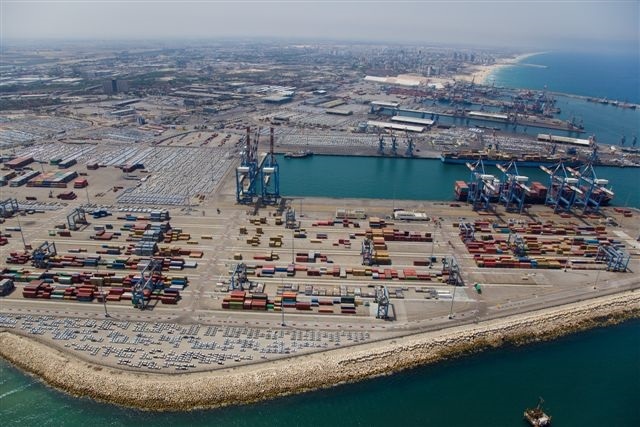 The cargo train terminal handles both inbound and outbound sea-going containers arriving and leaving Ashdod Port by train; the container terminal, to which it is attached, serves shipping lines, freight forwarders and the general public. The direct connection to the national infrastructure of Israel Railways mean the cargo train terminal can act as the critical point of entry and exit for freight moving through the southern Israeli port. Gidi Altman, Fridenson's chairman, noted operating the facility will enable the company to enlarge and deepen its activities in the logistics supply chain field. "Adding the new terminal to our chain of services in such an important and strategic location is synergetic to the group’s activities," he added. Fridenson is not the only IFLN member to be adding to its maritime coverage. A daughter company of Marico Expeditie has a 20 percent stake in terminal operator, Orange Blue Terminals. In 2011, Orange Blue Terminals began to transform a terminal at Eemshaven in Holland, which Marico general manager, Hans Stigter described as having "big investments but no customers." Over the next couple of years, an area of sand was converted to a multi-purpose terminal with 250,000 square meters of storage area, a ro-ro bridge, a heavy lift platform and a quay 700 meters long. Since the transformation, visiting customers have included the Royal Netherlands Army, as well as private sector offshore vessels. In 2015, the terminal supported two big offshore wind projects: Godewind 1 and Gemini. Gemini, an offshore windfarm in the Dutch North Sea that is expected to be one of the world’s biggest both in terms of size and output, actually consists of two locations (hence its name). Orange Blue Terminals is handling the jack-up vessels carrying the piles and other outsize cargoes to the windfarm, having won the tender to do so from Van Oord, the primary contractor for the project’s installation. The Orange Blue Terminals at Eemshaven is currently supporting the Gemini offshore project. Here, three jack-up vessels are alongside. Orange Blue Terminals began handling mono-piles for Gemini that have an average weight of 800 tons in April, Stigter informed, and the project is likely to run until November. Marico has an office in the terminal, and is also working as an agency for the vessels using the facility, handling customs formalities and providing other supporting logistics services. Further displaying their maritime knowhow, Marico also acts as an agent for Greycarrier, a non-vessel owning common carrier (NVOCC), in addition to its "everyday" role of multimodal freight forwarder (and, as we have seen, in part as a terminal operator). Greycarrier specializes in providing ro-ro and breakbulk transport from Northern and Southern Europe to niche markets less served by the traditional, large shipping lines. As such, Marico is concentrating, not on the container market but on port-to-port and port-to-door solutions for outsize cargo moving to hard-to-reach destinations.